A sunset game on the west coast of Gili Trawangan, silhouetted by Bali’s Mt Agung. Expect the usual seafood, Indonesian, and continental fare at the restaurants. If you want to be super safe, stick to beer and imported spirits, as the gilis have had issues with tainted local alcohol. There is a night market with food down by the main docks; islanders and tourists alike crowd here for the local fare sold from carts. For more upscale food & wine, check out The Trawangan Resort’s restaurant to the south. The fabulous bar and restaurant manager Agung likes a good cocktail challenge, so tell him what you like. We had our first Galliano experiences there (an act of synchronicity after a week of wondering how to drink Galliano). 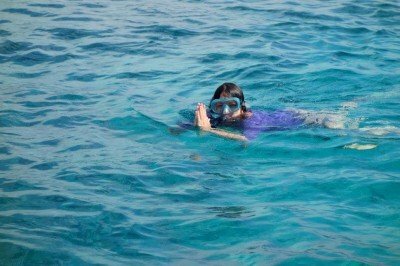 I think the reason Gili T has my heart is the easy access to some great snorkeling (in 2013 we paid about $3/day per set of snorkels and swim fins). It’s not that the other islands don’t have this (especially Meno), but we took advantage of it the most here. We would walk a bit north and enter the water, swim out to the drop, and basically float south along with the current. This is the place to see turtles… napping, chomping on their lunches, and just cruisin’ around. My favorite part is always the fish, though; brilliantly colored fish hanging out with each other, snacking on the coral, providing the incessant “crunch crunch crunch” soundtrack underwater. 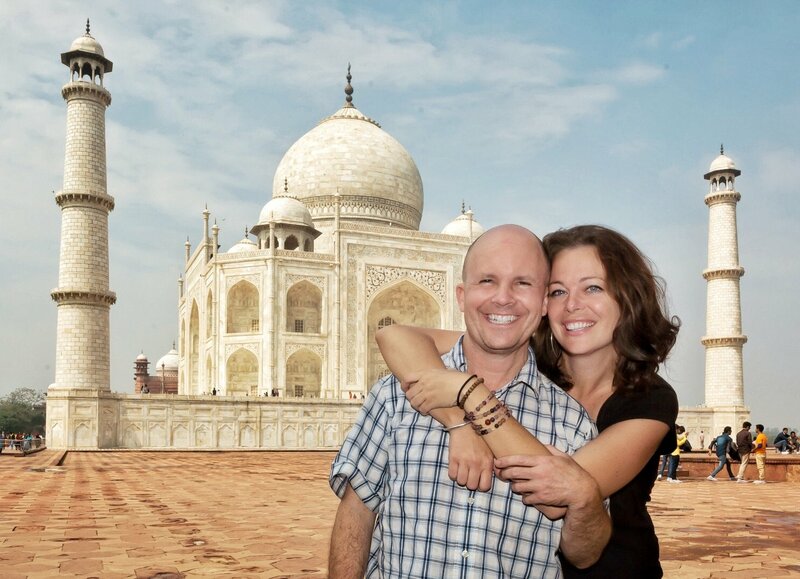 Click here for a Youtube video of the incredible sound! The colors on these creatures are absolutely unbelievable to me; it’s like the 1980’s threw up all over these fish. It’s only because I don’t have an underwater camera that I’m not subjecting you to hundreds of blurry pictures of tropical fish. This is Lauren’s impeccable impression of a shark. 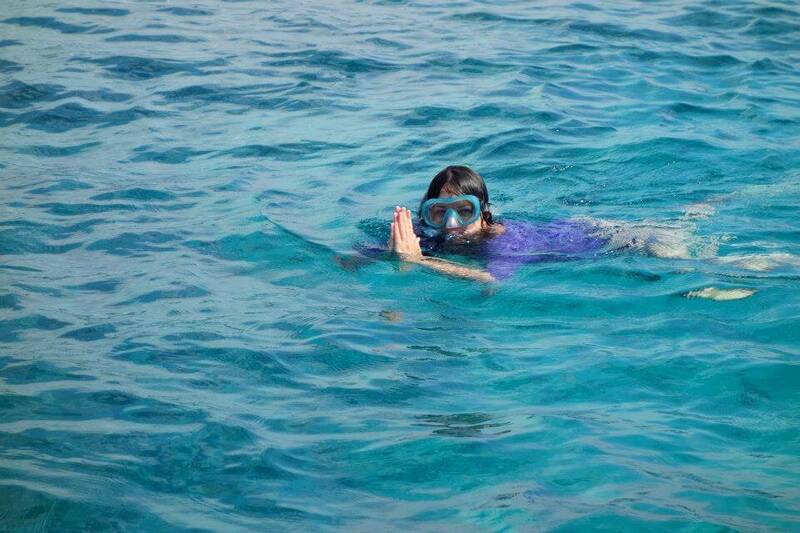 One of my favorite things ever, though, is hearing the mosque’s call to prayer while snorkeling. Bobbing up and down in sunny turquoise water, sea turtles and fish all around, you can lift your head and hear sweet singing in Arabic coming from the beach—at first it was the distinct disconnect that engaged me, but I was shocked at how well the two sensory inputs went together. It was experiences like this that made leaving Gili Trawangan almost painful for me. 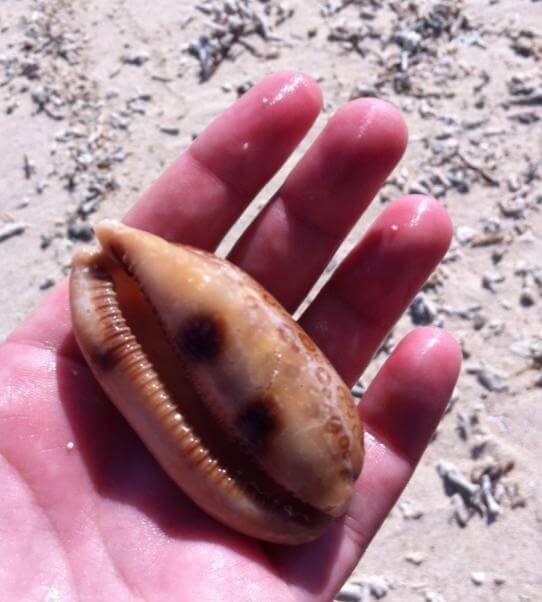 Oh, no big deal, you know… just a cowrie shell the size of your hand.